A large turkey will serve a crowd and it’s perfect for a make-ahead, slow cooker dinner. For years, we have exclusively chosen turkey for Thanksgiving, or perhaps a large Passover gathering, but now, we’re serving it more and more. A few years ago I shared a recipe for turkey breast stuffed with apricots and quinoa which was wildly popular so I am hoping you’ll enjoy this dish too. There are a lot of flavors in this dish. Red onions, fennel, orange and rosemary are among the most prominent, and I can forgive you for thinking that the flavor may become overpowering, but that’s not the case at all. The turkey, when cooked perfectly, is moist and full of flavor. 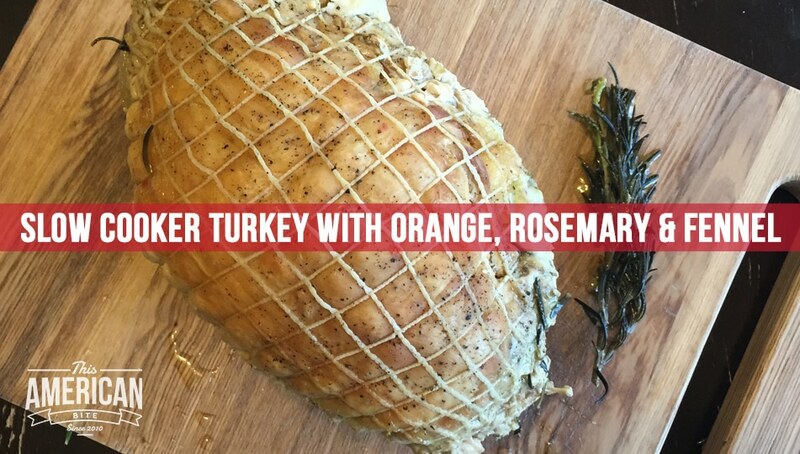 By slow cooking this in plenty of liquid, you also have the base for a gravy that compliments the turkey very well. 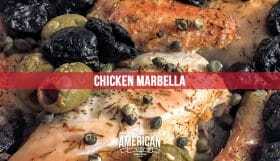 You have to be careful not to overcook turkey breast as it can dry out quickly, but this netted turkey breast fits perfectly in my slow cooker surrounded with flavorful ingredients and stock. You need to be mindful not to let the internal temperature exceed 165 degrees or the meat will dry out, even with this much stock, so if your schedule allows, start checking the internal temp with a meat thermometer after four hours. 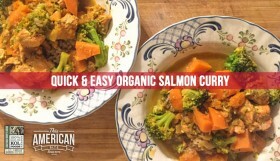 I cooked my netted turkey overnight and it was a little on the dry side but making a quick paleo gravy with the stock from the slow cooker and a little arrowroot powder made this a delicious dish. 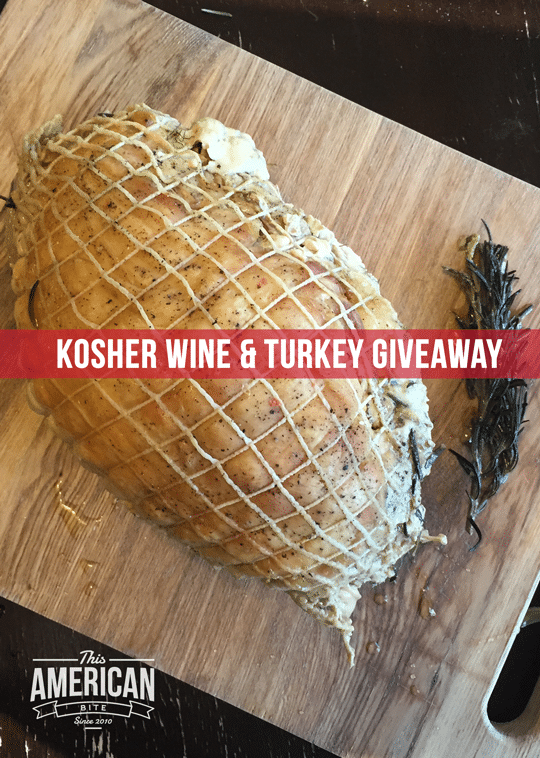 For your chance to enter to win your turkey and wine for passover, scroll down to enter after the recipe, and be sure to be following me on Twitter for extra chances to enter. Sautée the red onion and fennel in the bottom of your slow cooker, or if your slow cooker doesn’t have a sautée setting, use a skillet and transfer the onion and fennel into the bottom of your slow cooker. Add the better turkey to the slow cooker. Cut the oranges in half, add the zest to the slow cooker then add the oranges. Use this widget to enter the giveaway or click here to enter on the KOL Foods website. 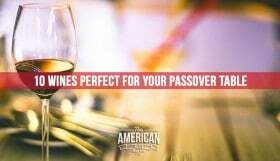 By entering you agree to our Terms & Conditions and agree to be added to the KOL Foods, KosherWine.com and This American Bite mailing lists. None of these organizations will ever sell or rent your email address or information to a third party.